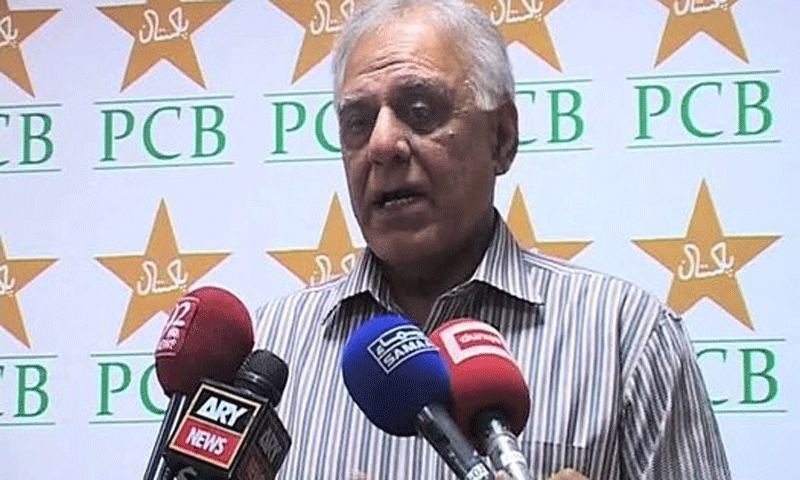 The Pakistan Cricket Board (PCB) on Monday disbanded Haroon Rasheed’s selection committee with immediate effect, and ordered constitution of a new one, as Waqar Younis resigned as Pakistan’s head coach three months before expiration of his contract, and only one day after Shahid Afridi stepped down as the T20 captain. PCB Chairman Shaharyar Khan, following the special committee’s report on poor team performance in Asia Cup and World Twenty20, announced his decision to replace the current selection committee in order to address the problems in Pakistan cricket. “Having reviewed the report of the special committee the chairman has accepted the recommendations therein with regard to a change in selection committee. Therefore, with immediate effect the selection committee has been disbanded and a new selection committee will be announced in due course,” said a press release issued by the PCB. Previously, chief selector Haroon Rasheed faced criticism of former coach Waqar Younis in his post-World T20 report about team’s dismal performance. Furthermore, the special committee also recommended hiring a new team psychologist as well as a new dietician to deal with fitness issues of the players. Meanwhile, Waqar Younis stepped down as Pakistan’s coach three months before his contract was going to end. Waqar took the decision after meeting PCB officials in Lahore. Waqar and Afridi’s resignations came after Pakistan’s disappointing performances in the Asia Cup in Bangladesh and the World T20 in India. Pakistan won only three games out of the eight they played across the two tournaments and failed to make it beyond the first round. The last series Pakistan won in any format was last October, when they beat England 2-0 in a three-Test series in the UAE. After that, Pakistan lost the ODI and T20 series to England, and then traveled to New Zealand to again lose the T20 and ODI series. They won only two of the 12 limited-overs matches they played in all against England and New Zealand. Pakistan are currently ranked a respectable fourth in Tests, but eighth in ODIs and seventh in T20s in the ICC rankings. Waqar had recently presented a scathing report, after Pakistan’s exit from the World T20, in which he criticised the PCB’s decision of not giving him a say in the selection process and lambasted Afridi’s style of captaincy. The report was an overview of his two-year term as coach and was submitted to PCB chairman Shahryar Khan and to the board’s fact-finding committee. A day before submitting that report, Waqar had offered to step down but had said cosmetic changes would be insufficient to solve the deeper issues in Pakistan cricket. It was Waqar’s second tenure as coach after he was appointed in May 2014 for a two-year contract. His first stint as head coach was in 2010-11 and he had then resigned citing personal reasons.